A “big shunt” at The Engine House today. 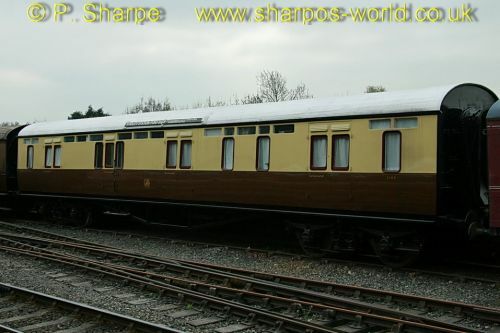 The Royal Saloon, built at Wolverton, 1941, was taken to Highley by D3022 and would to take the place of the TPO. 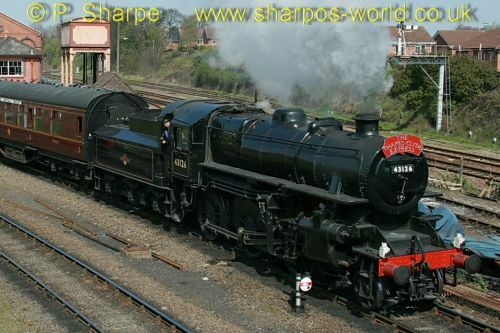 This meant 3 locos had to be moved first, Pannier 7714, 8F 48773 & Midland Compound 1000. The locos were all shunted onto the “main line” to allow removal of the TPO, its place being taken by the Saloon. Plenty of photos were taken, including my first shots of the Compound in daylight. This entry was posted in Sharpo's World Photo Updates on April 28, 2010 by Sharpo. The train arrived at Kidderminster during the afternoon and was due to run to Bridgnorth & back before returning to Network Rail tracks during the evening. My compact flash card displayed “corrupt data” so I reformatted the card and lost the first few photos as the train arrived, but don’t panic – I still managed plenty of shots. Photos of stock & DBSO also included. Still on Network Rail tracks, about to cross over to the up line before reversing onto the SVR. This entry was posted in Sharpo's World Photo Updates on April 26, 2010 by Sharpo. The cloud hid the sun as 43106 rolled down from Arley station, so I put the camera away. Up at the station I was waiting for the next train through, but was surprised to find D1062 was hauling it. Apparently one of the steam locos was unavailable & the Western was used. It made a pleasant change from the usual steam locos! The next two steamers were “backwards”, but we waited for the return of 43106 from Kidderminster, knowing it would be facing the right way. 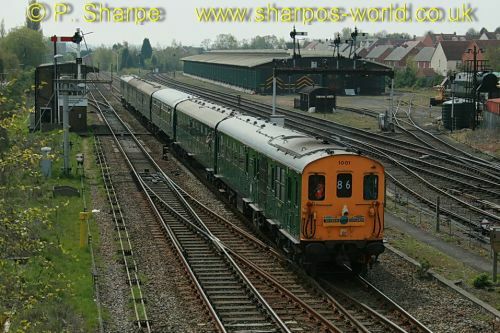 These photos were taken earlier in the day, before the arrival of the Hastings DEMU. As you will see, we now walk down towards Victoria Bridge, which gives the chance for some different photos. Makes a change from the usual photos across the river north of Arley. 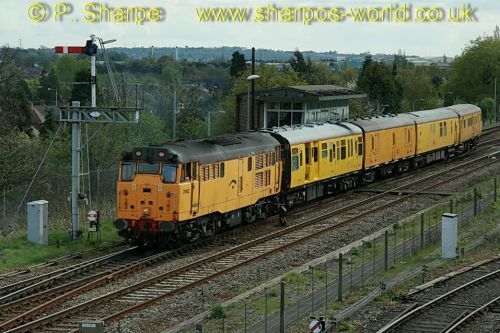 The previous update showed the DEMU at Kidderminster, this one shows the unit later in the afternoon, having left the SVR and returning to Hastings via Birmingham Snow Hill. It certainly made a change from the Class 150 units which work the majority of services on this line. This entry was posted in Sharpo's World Photo Updates on April 24, 2010 by Sharpo. 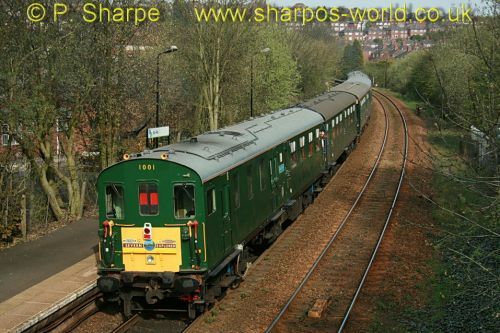 This railtour started at Hastings and ran to Kidderminster via Swindon & Worcester. I saw it arrive at Kidderminster and cross onto the SVR. It then ran through to Bridgnorth before returning later in the afternoon. I saw the unit again in the afternoon as it climbed through Old Hill on the return journey, running via Snow Hill. Those photos will be uploaded later. 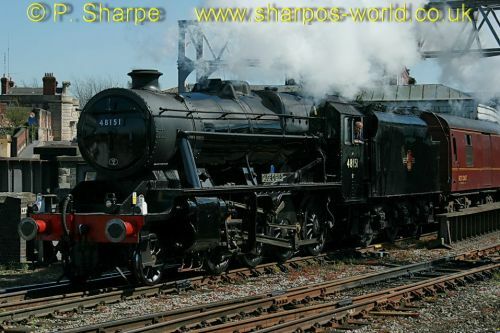 30777 “Sir Lamiel” ran as 30453 “King Arthur” on the Steam Dreams train to Stratford. The warm & sunny weather made it an enjoyable few hours out, once the local bus arrived to get me to the station. This entry was posted in Sharpo's World Photo Updates on April 23, 2010 by Sharpo. 43106/43126 is seen from the footbridge departing from Kidderminster on a driving charter, with “The Thames-Clyde Express” headboard. Not long after D8188 arrived with 3 wagons, ran round, then returned towards Bewdley. D821 is also seen in the diesel yard. 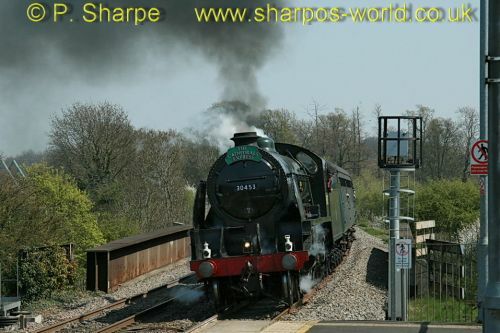 This entry was posted in Sharpo's World Photo Updates on April 22, 2010 by Sharpo. The loco had travelled from Carnforth to work a special train. It had already passed through the station before my train arrived, but I saw it reversing on the far side of the triangle before passing through the station again, heading for Coton Hill yard. 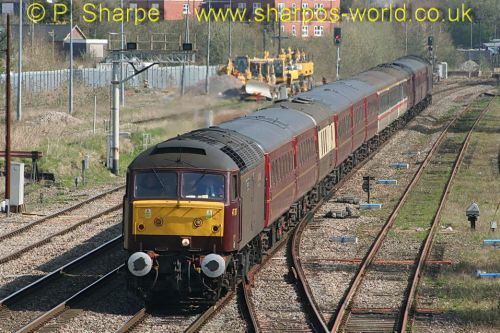 47787 was hauling the train with 47826 at the rear, and is seen passing “Banker’s Bridge”. The cat and the fox kept us amused as we waited for the train. This entry was posted in Sharpo's World Photo Updates on April 20, 2010 by Sharpo. Engineering work on the Bromsgrove route meant diverted trains via Kidderminster. I had the opportunity to photograph a couple of the engineers train, also a DMU. 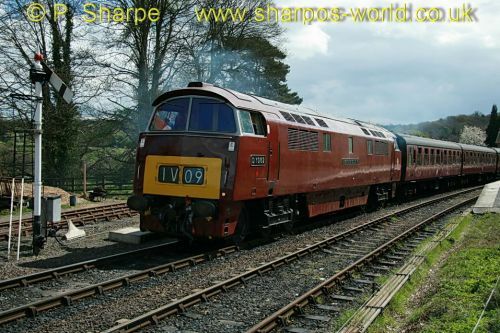 I wasn’t planning to add an update for the loco photos, but looking through the gallery I don’t appear to have any photos of 1145, so that seemed a good enough reason. 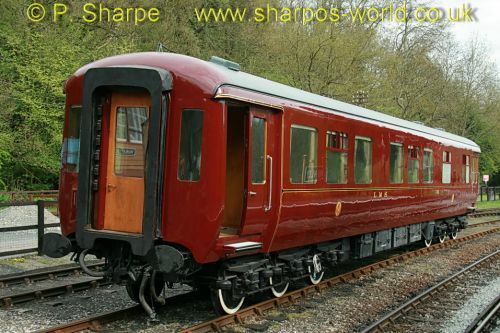 It is now in use as a “sales coach” at Bewdley after restoration. Not easy photographing against the light! 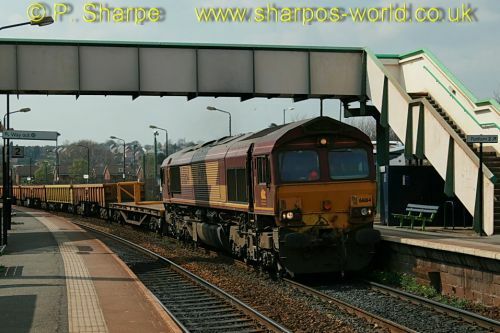 This entry was posted in Sharpo's World Photo Updates on April 19, 2010 by Sharpo.